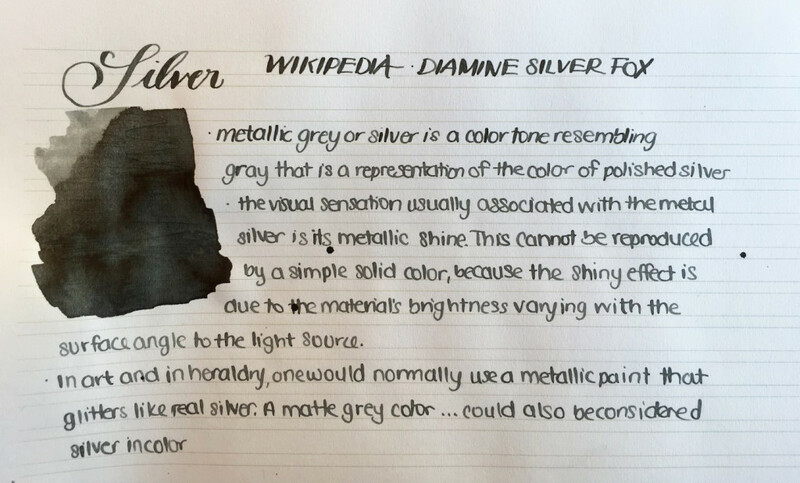 Diamine Silver Fox is a nice mix of a medium to dark grey, and silver. It’s not shimmery or glittery, but the silver is obvious when compared to other normal greys. The ink shades nicely, and although silver can be difficult to capture in a non metallic ink, this one did well, I think.